In my effort to slow things down and do less shows I added this one! 3 hours, outside, solo! Yep. I just can’t resist the pull of the City and people making fun things happen!! Katy Vernon – Solo busking!! 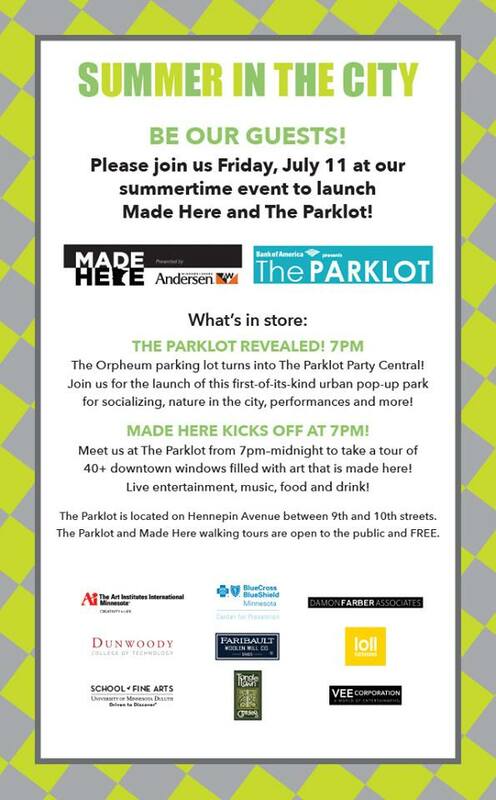 Meet us at The PARKLOT (same block as Orpheum Theatre) from 7pm – midnight to take a tour of 40+ downtown windows filled with art that is made here! Live entertainment, music, food and drink!